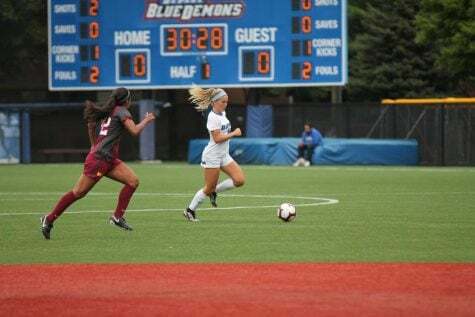 It may still be summer break for many DePaul students, but DePaul women’s soccer team has hit the ground running in the month of August with a scrimmage against Northwestern and is set to open their regular season Thursday night against SMU. 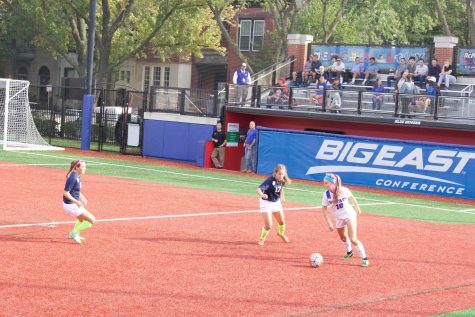 After a couple games in the spring, DePaul erased a 1-0 deficit to top Northwestern 3-1 at Wish Field on Friday. 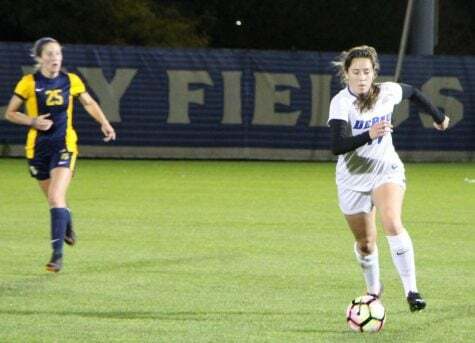 DePaul senior forward Franny Cerny, who led the team with 10 goals last season, said she’s been pleased with how the team has performed through the spring and summer as they head into the season coming together well as a unit. 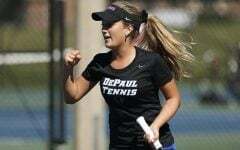 In DePaul’s win over Northwestern they also welcomed back Chelsey Henry, who appeared in just six games last season before suffering a season-ending injury and Bina Saipi, who also redshirted last season after starting six games her freshman year. 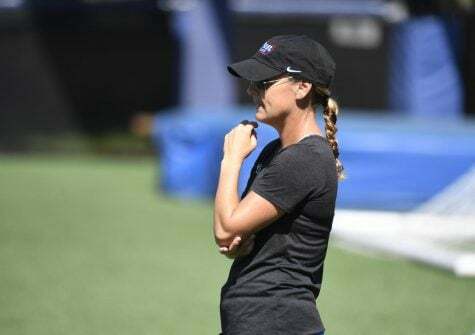 DePaul head coach Erin Chastain said it’s nice to be getting healthy as the season opener approaches and also was pleased with the work put in by the rest of the team so far. One player DePaul is hoping to get back in the lineup soon is Kentucky transfer Jessica Lazo, who has three years of eligibility left after competing in eight games for the Wildcats during her freshman season. Cerny was excited to add another option up front with experience from a school like Kentucky. 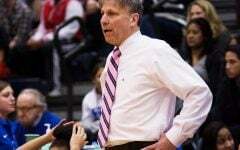 Chastain added she expects Lazo to make a big impact for the Blue Demons when she joins the team. 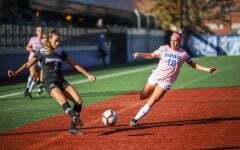 With a game under their belt, senior Elizabeth Parrilli looked back at a tough stretch of two-a-day practices and credited the coaches and her teammates for a strong performance against Northwestern, who had won the previous two matchups. 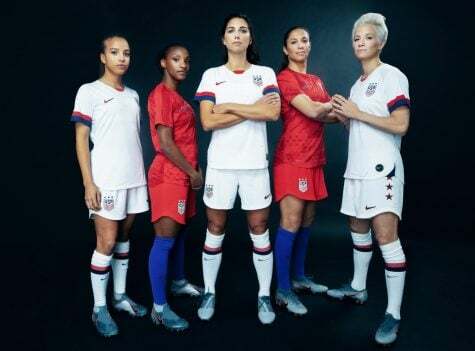 The senior midfielder added she was happy with the way the team moved the ball and noted this teamwork will be important to take into the regular season. 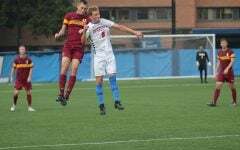 The Blue Demons are going to face stiff tests early with a preseason schedule that includes matchups against SMU, Illinois, Minnesota and Alabama to go along with Loyola Chicago who they last played in 2015 and tied 0-0 after two overtimes. 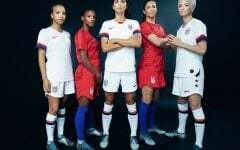 Chastain said the idea behind another challenging nonconference slate is once again to get her team ready for when conference play hits in late September. 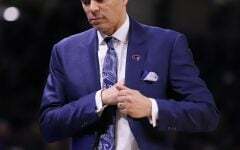 Parrilli agreed this slate of games would have DePaul prepared when they open Big East play against Seton Hall, but said she also likes how they are heading into the early part of the year. The Blue Demons also received good news late last week as Cerny was named to the Preseason All-Big East Team, after being named as First-Team Big East honoree at the end of last season. 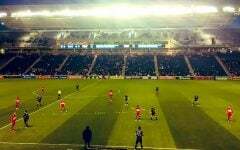 Cerny added it’s also nice to know people are paying attention to DePaul. Her coach Chastain praised the senior’s leadership and expressed excitement about this season. 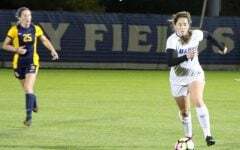 The Blue Demons opened the home portion of their schedule Sunday at noon against UMass Lowell.